Arthur's Pass State Highway 73 to West Coast in heavy winter snow. Hazardous driving conditions. Snowing and road limited to one lane. 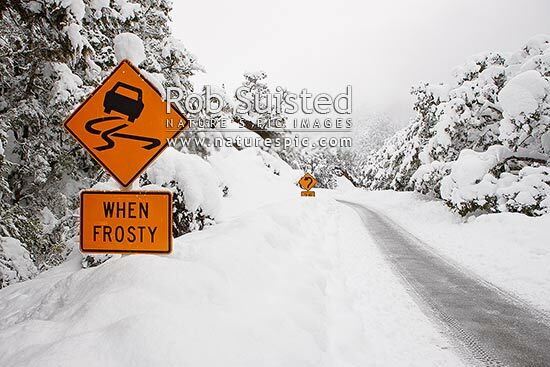 Caution slippery when frosty road sign, Arthur's Pass National Park, Selwyn District, Canterbury Region, New Zealand (NZ), stock photo.